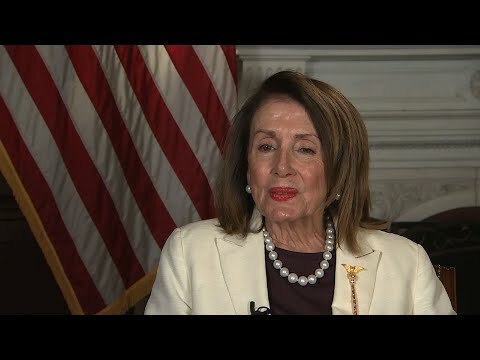 WASHINGTON (AP) — One day last week, amid spiraling fallout over special counsel Robert Mueller’s Russia probe , House Speaker Nancy Pelosi dialed up the president and requested a meeting. So goes the relationship between Washington’s two power centers — one in the White House, where Trump is slapping almost hourly at the investigations into his administration and running headlong into a climactic moment of his presidency, the other on Capitol Hill, where Pelosi is deliberately steering her gavel toward her party’s goals. Even as Trump derides Democrats as “unhinged” and claims they are a party taken over by “socialists,” he pulls his punches with Pelosi. And while Pelosi criticizes Trump as “unfit” for office — and hasn’t fully closed the door on impeachment — she wants to work with him on shared priorities. On Thursday, Pelosi told reporters she’s looking for at least $1 trillion for the infrastructure package — far more than the $200 billion Trump has proposed — and she’d like to get it closer to $2 trillion. She said she expects to “meet soon” with the president to discuss it. The White House confirmed the president and the speaker “did speak last week and have agreed to meet soon to discuss working together on infrastructure,” said administration spokesman Judd Deere. “The President wants a bipartisan infrastructure package that rebuilds crumbling infrastructure, invests in the projects and industries of tomorrow, and promotes permitting efficiency,” Deere said Thursday. “We want dirt to fly,” Pelosi said. She says 80 percent of their conversations, including the talk last Thursday, are about infrastructure. They’re trying, she said, to find areas of “common ground.” The purpose of the upcoming meeting she requested is to “get a dollar figure” as a starting point for the discussions. That afternoon, House Democrats filed a lawsuit challenging Trump’s national emergency declaration, which he invoked to circumvent Congress and to use military construction money to pay for the border wall. “It’s so very self-evident that the president is very different from every other person that anybody ever served with,” Pelosi said in the AP interview Wednesday.